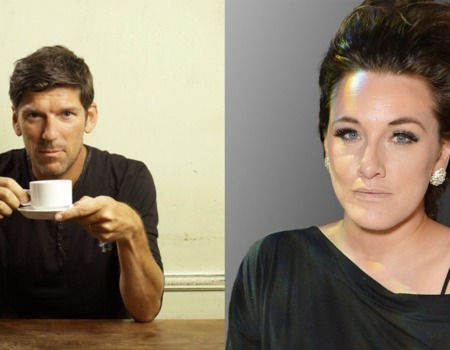 An evening with award-winning restauranter Russell Norman and London Evening Standard critic Grace Dent. Grace Dent is a columnist, author, and broadcaster. She has two weekly columns in the Independent: an opinion-editorial column each Wednesday and Grace Dent on Television each Saturday. Grace's restaurant column Grace & Flavour appears in the London Evening Standard every Friday. Russell Norman is an award-winning restaurateur, writer and broadcaster. He operates several restaurants under the POLPO banner in London and beyond. His book Polpo - A Venetian Cookbook (of Sorts) is published by Bloomsbury and won Waterstones Book of the Year 2012. In 2014 he presented The Restaurant Man, a six-part prime-time documentary for BBC2, and his second book Spuntino - Comfort Food (New York Style) won the 2016 Guild of Food Writers Award for best food and travel book. He is a contributing editor for Esquire magazine where he writes a monthly column as The Accidental Cook. For the last three consecutive years he has been recognized by Debretts as one of the 500 most influential people in the UK. His Who's Who entry lists just one hobby: Scrabble.